"I only like old Metallica” snobs got a fair shake." Unless you care deeply about everything Metallica's released since their '80s heyday, it can be easy to get hung up on what's lame about them in 2018. Their most recent albums are either attempts at alt-rock reinvention or clear "return to form" plays. They charge obscene amounts for tickets. Their setlist is fairly rigid. They invite comedian Jim Breuer (of Half Baked semi-fame) to host a slogging, hours-long "pre-show party" instead of giving a couple of young, hungry bands the opportunity to open for Metallica. Lars Ulrich is still a massive ham. 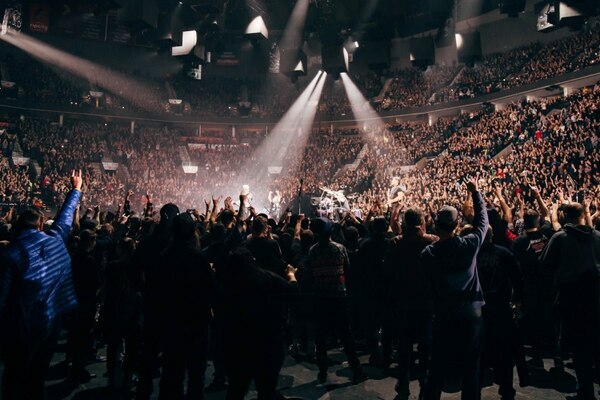 But I sincerely doubt that any of us who arrived at the Moda Center on Wednesday, Dec. 5 with prejudices and post-Black Album baggage left unsatisfied. 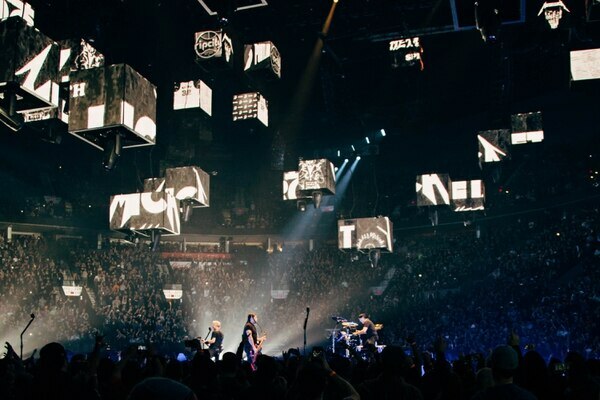 Metallica have been the biggest-ticket metal band in the world for about three decades now. As easy as that is to forget when you're not face-to-face with the thrash juggernauts, their live shows quickly remind you why they're still deserving of the title. 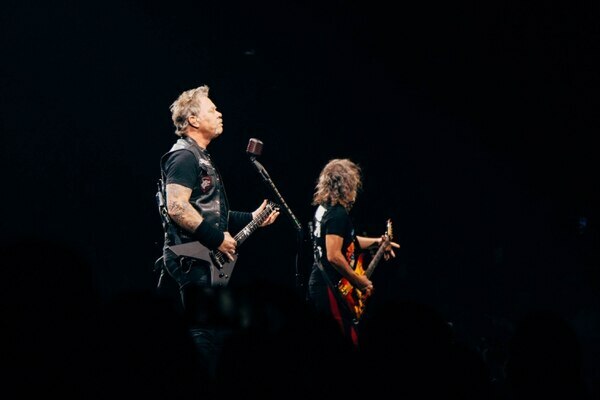 Performing in the round, Ulrich, James Hetfield, Kirk Hammett, and Robert Trujillo strutted around like they rule the world. 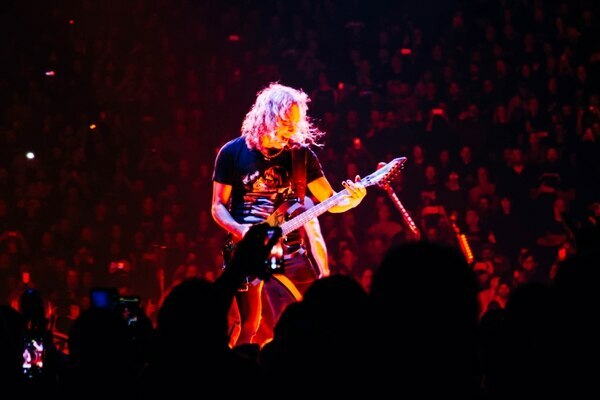 Horns were thrown up, solos were ripped, Hetfield's famous "yeah" was deployed, flames burst up from the floor. It was the scale at which metal is meant to be enjoyed but so rarely can afford. You can catch heavier, more technically dazzling metal for $12 at Tonic Lounge or High Water Mark a few times a month, but that doesn't negate Metallica's greatness. Everyone currently playing in the NBA can dunk more impressively than Dr. J, they'll never sniff the impact of his first in-game dunk. 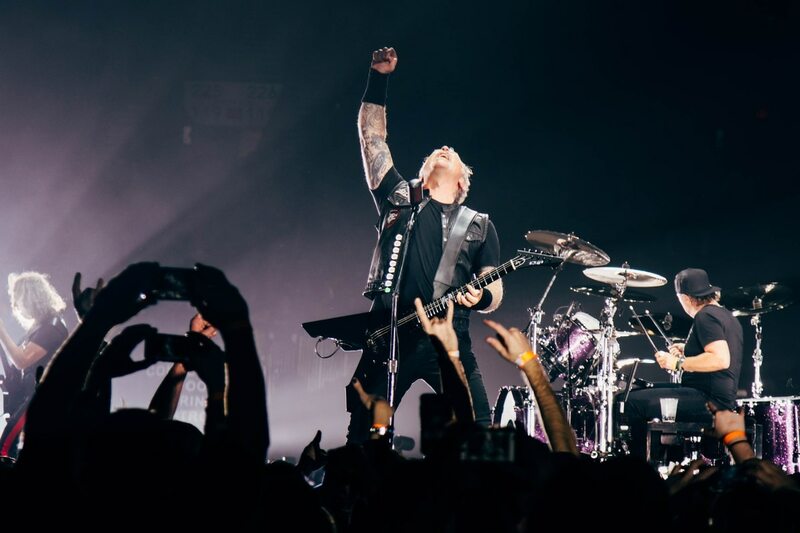 Metallica ripped through five tracks from their most recent album, Hardwired… To Self Destruct, but outside of that, their setlist felt carefully constructed for fan service. 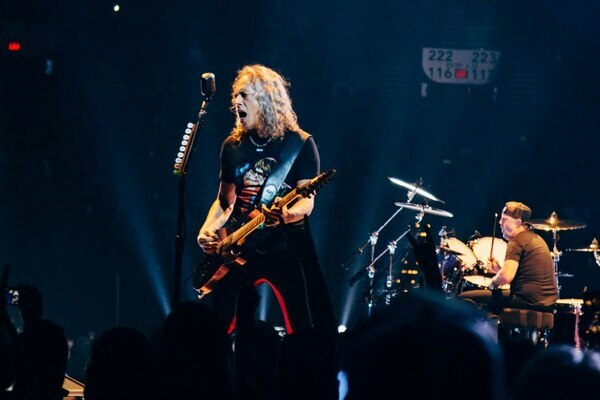 We got a three-song stretch of Ride The Lightning highlights, a very rare performance of Kill 'Em All's "No Remorse" (only the song's second performance in 2018), and in a surprisingly personalized touch, even a quick cover of Portland punk legends Poison Idea. "I only like old Metallica" snobs got a fair shake, and those who showed up to hear Hardwired songs got their due. Around 15-20 years ago, Metallica seemed en route to becoming music industry pariahs. They got a lot of public flack for suing Napster, longtime bassist Jason Newsted left the band, they released their most critically reviled album to date (2003’s St. Anger). All of the unrest was chronicled in Some Kind of Monster, a documentary that presents the band as a bitter, embattled group of reluctant coworkers, and has since colored the opinions of many fans. 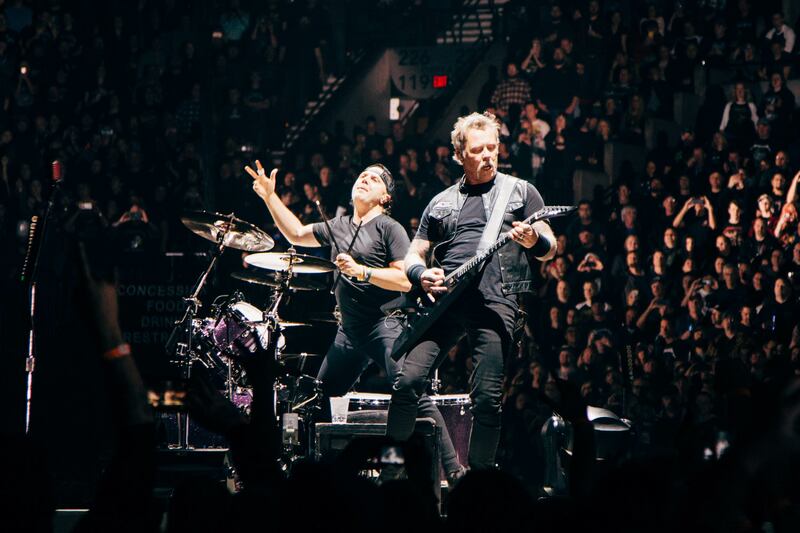 If Wednesday at the Moda was at all a typical 2018 Metallica show, it should be all they need to shrug off any lingering bad reputation. 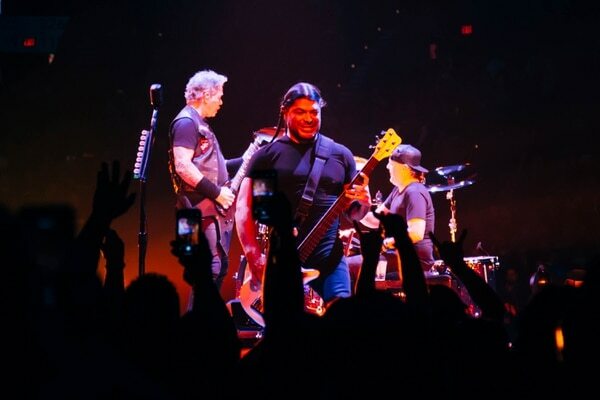 The four members looked like they were having an absolute blast onstage, and as they embraced at the show's end, all of Jim Breuer and Hetfield's opening set blustering about Metallica being a family began to ring true.